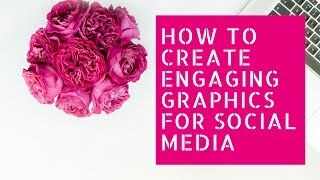 How To Create Engaging Graphics for Social Media is for all online marketers who’re working to build a brand and interact with their audience on social media. In this LIVE training you’ll learn why it’s so important to have graphics that encourages engagement from your audience on social media. For those who consider themselves to lack creativity, I’ll share where you can find inspiration for creating your own social media graphics. The tools we’ll be using to create graphics are Canva and Picmonkey. Both of these resources are free to use and contain ready-made templates that make creating graphics for social media fun and easy! Are you someone who’s ready to take their life to the next level? Have you always desired having your own business and earning unlimited income? Start living life on your own terms. Start building the life you’ve always dreamed of and desire. CLICK THE LINK BELOW to learn how! If you have any questions or need to contact me, you can do so at the following email address or you can call or text me, which ever you feel most comfortable in doing. I look forward to hearing from you.